The Spector Legend 4 Classic Slate Grey offers the legendary playing comfort and variable sound of the premium basses developed by Stuart Spector at an attractive price/performance ratio. Accordingly, the body of the four-string has the ergonomic curvature that ensures a stable playing position, while the equipment with two humbuckers and active electronics makes a variety of sounds available. 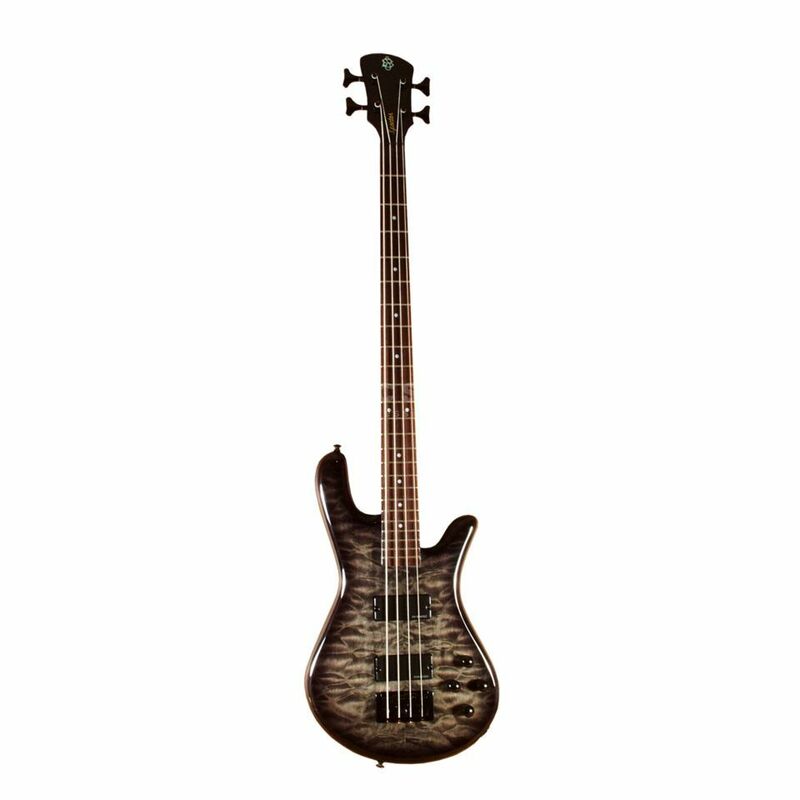 The Spector Legend 4 Classic offers legendary playing comfort and a variable sound spectrum at a favourable price/performance ratio. The ergonomic curvature of the maple body of the Spector Legend 4 Classic nestles against the body of the bassist, giving it a particularly stable playing position. In addition, the screwed maple neck offers a butter-soft playability across all strings. Two SSD INC humbuckers are used as pickups on the Spector Legend 4 Classic, which convince with their modern sound. With a tight attack and harmonious balance, the low H-string is also neatly integrated into the sound. The active Spector Tone-Pump Jr. electronics allow you to precisely adjust the sound in bass and treble.